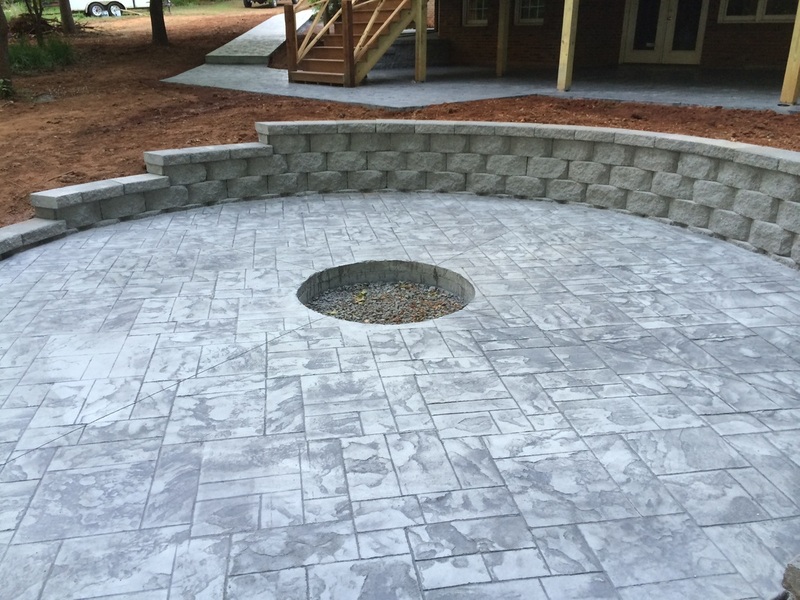 When it comes to stamped concrete vs. pavers there isn't really a right or wrong choice. Both can be a beautiful and lasting addition to your home as long as installation is done correctly. There are pros and cons to each which should be examined before making a choice. Generally, stamped concrete is less expensive compared to pavers. Installing pavers is usually much more labor intense and time consuming. Stamped concrete requires less maintenance. Nothing more than a coat of clear sealer every few years is all that is needed. Because stamped concrete is one continuous slab that should be rebarred together, there's no worry about tripping hazards that individual pavers can create. The biggest adavantage of stamped concrete is it's versatility. There are many patterns, textures, and colors that are more readily available. You can also use concrete stains, dyes, and scoring techniques to further enhance stamped concrete. The fact that almost all concrete eventually cracks can be a major disadvantage vs. pavers. Cracks that may occur away from the control joints are impossible to fix and any repairs usually end up being more unsightly than the crack itself. If you want to change the shape or add on to stamped concrete, it's almost impossible to exactly match the existing concrete without it looking like it was added on. Because pavers are small and individually placed, there are never any cracks to worry about. Most repairs can be done easily by simply replacing a few individual pavers or lifting them up and putting more sand underneath. Adding to or changing the shape of pavers can be done with ease anytime down the road and you can exactly match the previously placed pavers. Paver installation usually costs more than stamped concrete. Brick and interlocking pavers aren't too costly but other pavers such as stone can be very expensive. 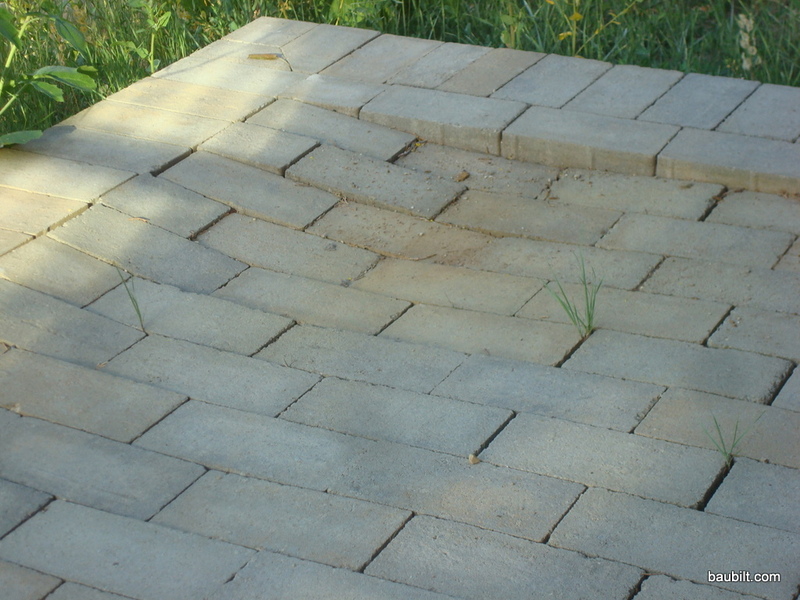 Settled pavers can cause tripping hazards. 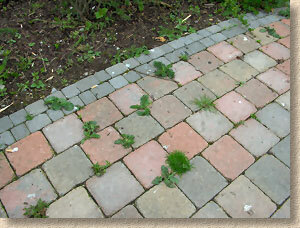 Pavers can be a maintenance nightmare trying to keep up with the settling of individual pavers and removing the weeds that grow between them. When deciding go with stamped concrete vs. pavers it can be a toss up. When installed properly, both are excellent products. Just remember not to settle for the cheapest price. As with most other things, you normally get what you pay for.